Quoted in Carl Seelig (ed. ), Helle Zeit, Dunkle Zeit: In Memoriam Albert Einstein (1956), 71. 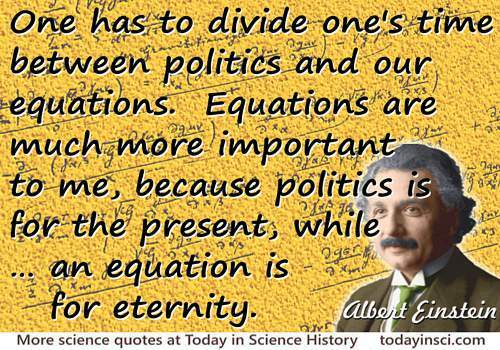 One has to divide one’s time between politics and our equations. But our equations are much more important to me, because politics is for the present, while such an equation is for eternity.